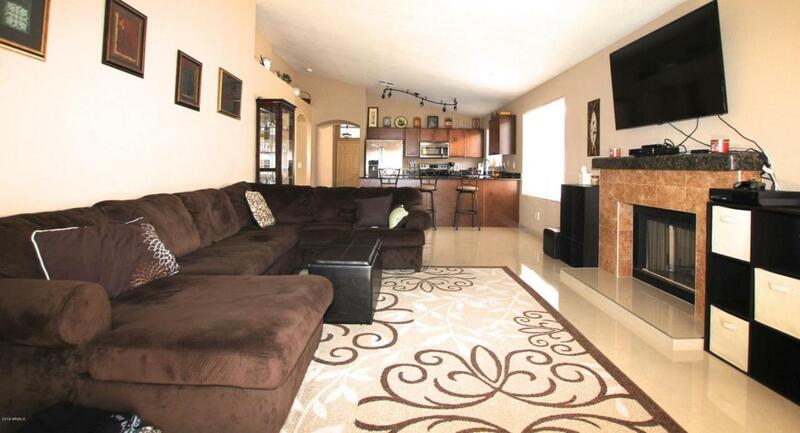 IMPECCABLY clean, beautifully appointed, move-in ready home your buyer has been waiting to own. 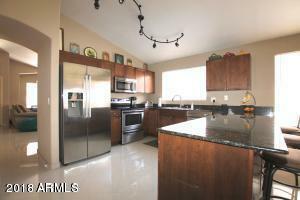 Kitchen features granite countertops w/a generous breakfast bar, s/s appliances, beautiful cabinetry & deco lighting. A tile & granite manteled fireplace highlight the family room. The living room/dining room can be as formal or casual as you like. The porclain tile flooring is set in a diagonal pattern adding to the classy style t/o. 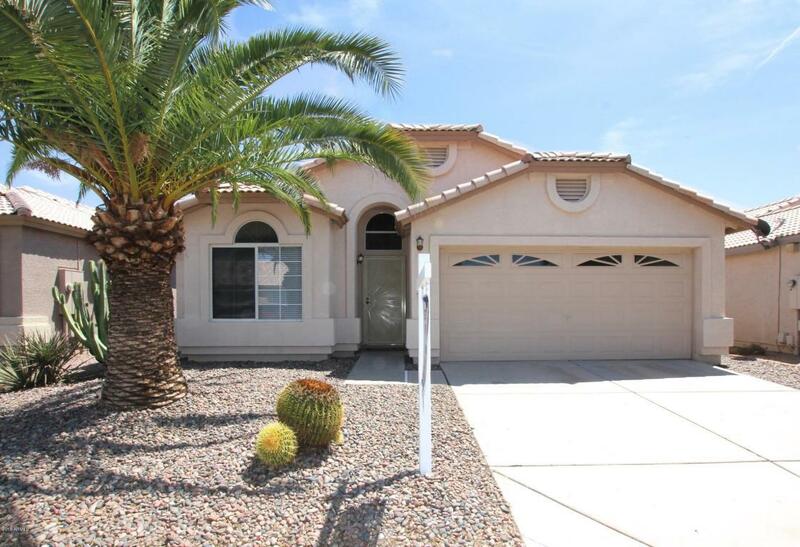 Spacious masterbedroom has a walk-in closet, bath w/separate tub and shower & double vanity. Two secondary bedrooms have mirrored closet doors & are a good size. A skylight keeps the hallway bright and cheery. Attractive front dessert landscaping & freshly painted trim offer great curb appeal. 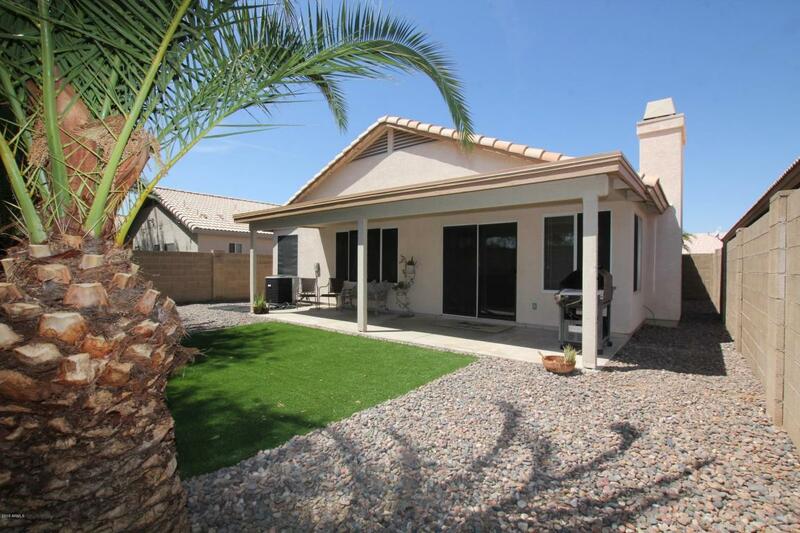 Easy-care synthetic grass & large cov'd patio hilite the backyard. Cap Imprv Impact Fee 300.